As of 2015, smoking is biggest killer in the UK, with over 100,000 people dying each year from smoking-related illnesses, diseases or complications – and that doesn’t take into account the many hundreds of thousands of people who are admitted to hospital or treated by doctors for linked conditions. This costs the NHS an estimated £2.7 million a year – a staggering amount, given that many of these deaths and illnesses can be avoided. It can come as little surprise, then, that many smokers are actively seeking to give up and turn over a new, healthier leaf. If you fall into this category, and are determined not to be counted in the above figures, then read on. We know how hard quitting can be – nicotine is incredibly addictive, and giving up is never going to be easy. But in case your confidence or your conviction is wavering, check out our top reasons to give up for good, and hopefully get the boost you need to push on. You’ve spend years building up friendships, settling down, making a home for yourself. They don’t want to lose you, any more than you’d want to lose them. Giving up smoking is one way to keep yourself healthier for longer, giving you valuable extra years with loved ones. People always talk about the decreased risk of cancers and heart disease, but smoking is linked to tons of undesirable conditions. It also affects your energy levels, the functioning of your lungs, and your sense of taste and smell – so quitting equates to better tasting food too. A recent survey showed smoking as a turn-off for 75% of people and this, coupled with cigarettes’ ability to turn your teeth and nails yellow, makes for an unappealing habit. Increase your chances of attracting partners by giving smoking a miss. The average person smoking 20 cigarettes a day will spend around £3000 a year on their habit. That’s a decent amount of money by anyone’s standards – and most people could put that money to much better use benefitting the whole family. Of course, saying and doing are two different things – it’s easy to talk about giving up, but the reality can be a much harder process. Give yourself the best chance at stopping smoking by vaping – a relatively recent trend that’s gradually been gaining credence as an effective aid for smoking cessation. A recent survey found it’s 95% less harmful than a traditional cigarette, and is a favourite amongst smokers seeking to reduce their cigarette consumption. E-cigarettes create vapor by heating e-liquid, sometimes called e-juice. This is made primarily of propylene glycol, glycerine, water, nicotine and flavourings, check out Medusa Juice e cigarette liquid flavours as they provide an enormous variety of tastes and smells to make vaping as personalised as possible. You can also vary the amount of nicotine you consume, meaning you can wean yourself off your addiction or at the very least cut back considerably. The health benefits are started to be analysed in more detail, but initial findings suggest that e-cigarettes’ impact on smoker health is positive, and both the government and the NHS are keen to verify their impact. And the great thing about vaping is it’s much more socially acceptable, so you can combine a healthy lifestyle choice with all your usual activities. 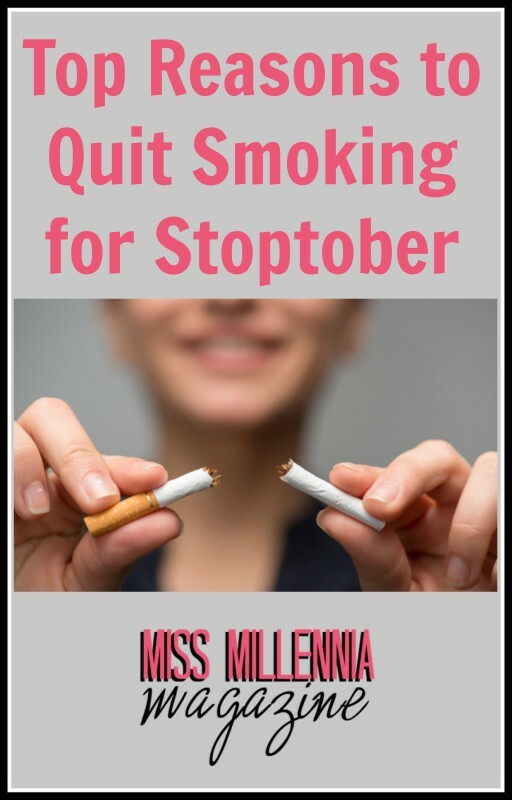 In addition, there are nicotine patches, gums and sprays that can support your decision to quit – and if you’re struggling to find a good time to give up, the annual campaign Stoptober encourages people to give up smoking for the month of October – an action that means you’re more than five times more likely to give up for good. Try different methods and see what works best for you – and all the best in your quitting endeavours.